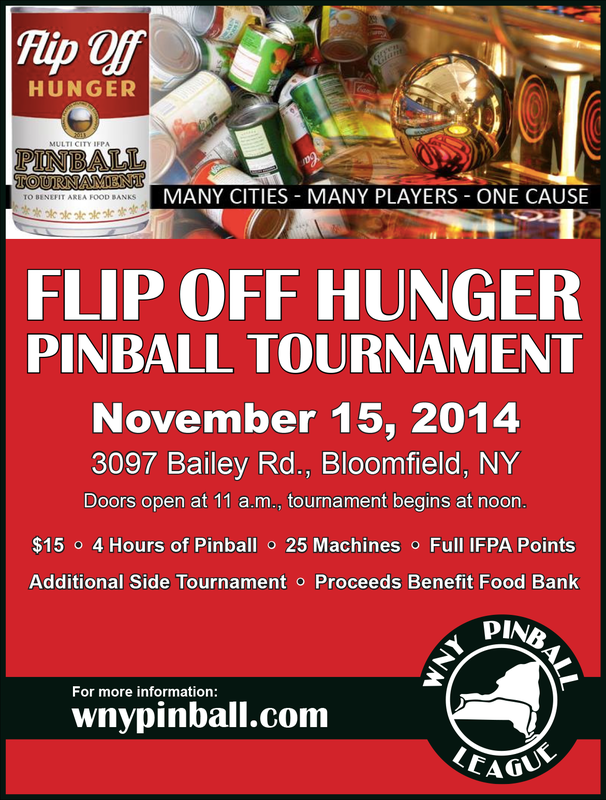 Pinball tournament where proceeds benefit local food banks, just in time for Thanksgiving. Canned goods (with labels) also accepted! TIME CHANGE: Doors open at 11 a.m., tournament play begins at noon. No preregistration, register at the door. 4-player match play until 5 p.m. This entry was posted in Tournaments on October 21, 2014 by k3v2.